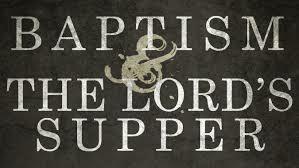 Better than any comedic skit or high-tech video, baptism and the Lord’s Supper dramatize the gospel. And when churches properly execute these two rites, they present in a very local, personal, and powerful way the gospel of Jesus Christ. Continuing to think about the way that the church is God’s authorized evangelistic ‘program,’ I want to show how these two ordinances display the gospel of Jesus Christ. Before considering how the church displays the gospel though, it is vital to remember the gospel is a message to be believed, proclaimed, explained, and defended. It is not something we do, make, or build. It is “good news” that our Holy Creator sent his sinless Son to die on Calvary for the sins of his bride. It is a message proclaimed to all the nations, so that any and all who believe in Jesus may be saved from hell and have eternal life. This is the gospel of Abraham, Moses, Isaiah, Jesus, and Paul. 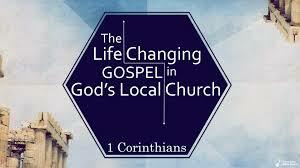 It is the life-creating truth that saves Christians and assembles local churches. That said, if the gospel is believed by a congregation, it will be evident in visible, practical, and tangible ways. A Spirit-filled church cannot stop talking about Christ because the gospel dwells richly in their hearts. Such gospel-centeredness does more than affect speech, however; it also shapes conduct, practice, and liturgy (i.e., the pattern of worship). Therefore, borrowing the logic of James 2:14–17, the sincerity of a church’s faith (in the gospel) will be seen in the way they live, move, and have their being. And no place is this more apparent than in the way they carry out the ordinances of Christ—baptism and the Lord’s Supper. Part of what makes a church a church is that they have the authority to pronounce forgiveness. (I know that sounds Popish, but read John 20:23: “If you forgive the sins of any, they are forgiven them; if you withhold forgiveness from any, it is withheld.”). With the keys of the kingdom, the church has the right to bind and loose on earth what has already been bound or loosed in heaven (Matt 16:19), meaning, a local church has the right to admit into membership those who repent and believe in the gospel. Baptism is this act of church-wide recognition, celebration, and reception into the community of king Jesus. (For more on church membership, see Jonathan Leeman’s excellent, little book on the subject, Church Membership). Contrary to popular belief, baptism is not just an individual’s public display of faith (which it certainly is); it is the church’s royal rite to pronounce God’s “Amen” on this new believer. Following a process of evaluation, the local church has the delegated authority to grant or refuse baptism on the basis of the seeker’s testimony. The goal of this process is not to exclude believers from baptism. Just the opposite: taking time to explain the gospel and answer questions ensures that those who identify themselves with Christ are indeed his. While we don’t believe that baptismal waters save, American churches are notorious for casually baptizing people who in subsequent weeks disappear from church. As an irregular occurrence this is understandable; we can’t guarantee the sincerity of someone’s profession. But when the pattern becomes normalized, it distorts the gospel. That sixty-percent of all adult baptisms in my denomination (SBC) were “rebaptisms,” according to a 1993 survey, is a woeful symptom of baptismal malpractice. Sadly, such statistics show how baptism, when wrongly conceived, can muddle the message of Christ’s mercy. By contrast, when a church takes care with their practice of baptism, their proclamation of the gospel is confirmed by the ordinance. To all who watch, the symbolism of death and resurrection is portrayed in the immersion of a new believer. Just as Christ died and rose again, so too this new creation is displaying their personal dying to self and new life in Christ. Baptism, therefore, is the initiating ordinance of the church, and because the church alone is sanctioned to baptize, it alone is able to proclaim the gospel with such a dramatic presentation. Following baptism is the Lord’s Supper. This is the continuing ordinance of the church. In the early church, the disciples of Christ took this meal every time they met (Acts 2:46). Today, churches practice it at various times, but every time they partake of the bread and cup, they proclaim the death of Jesus (1 Cor 11:26). In this way, the Lord’s Supper is not just a nice moment at the end of the service to make people feel sentimental. It’s far better; it is the visible proclamation of Jesus’ broken body and atoning blood. Like baptism, the Lord’s Supper has been entrusted to the church, and only the church can dramatize Jesus’ death rightly. Still, the Lord’s Supper, like Baptism, also needs renovation. First, the fear of overdoing the Lord’s Supper may indicate an unawareness of our weekly need for the gospel meal. Second, irregular church attendance that doesn’t take into consideration the meal exposes a weakness of Protestant religion. While rightly denying the Catholic belief that the meal communicates grace, we fall into the trap of denying its importance for our spiritual growth when it is “merely” a memorial. Third, pastors who fail to prepare their people for the Lord’s Supper miss an incredible opportunity to cultivate in the church a hunger for God’s grace. And fourth, a casual approach to the meal invites unrepentant sinners to eat and drink without reconciling themselves to God or others. Why does this matter? Because the meal portrays the gospel of Jesus Christ. In the elements we see the body and blood of Jesus. For those weak in faith, the meal is a tangible reminder of their Savior’s love. For those who are strong in themselves, the meal calls them to crucify their self-sufficiency. For church members busily ignoring God, the Lord’s Supper invites introspection and meditation. And for members in conflict with one another, it is a time of peace-making at Christ’s table. Moreover, because the Lord’s Supper is only given to baptized believers, it tells all visitors that humanity is divided. On one side, there are those who have the prospect of a glorious kingdom with Christ; but on the other, there is the prospect of eternal destruction for those outside of Christ. In this way, the Lord’s Supper, withheld from unbelievers (and those who act like unbelievers, i.e., those under church discipline ) puts on the table the need for those outside of Christ to repent and trust in him. In all these ways and more, baptism and the Lord’s Supper are God’s superlative drama. Inspired and interpreted by God himself, they display what the gospel declares. And even more they invite us to experience the gospel with water dripping off our noses and sweet bread sticking to our teeth. ← What Does Revival Look Like?